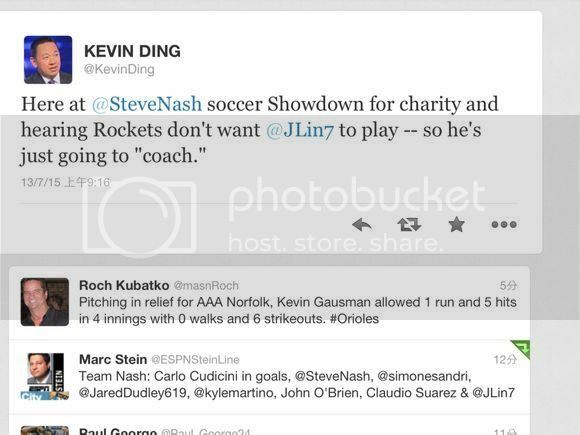 NOT SURE WHETHER Houston Rockets will penalize Jeremy Lin for taking part in the above mentioned Steve Nash Foundation Charity Game (LA Showdown) held July 14. 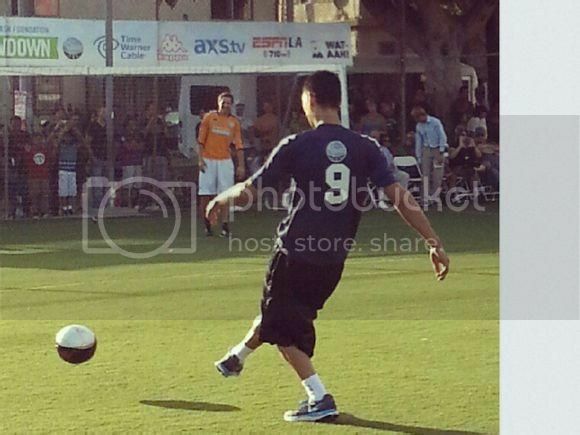 Jeremy was amongst a group of NBA players (Jared Dudley, Klay Thompson), soccer stars (Robbie Rogers, Robbie Keane), basketball reporters/analysts (Marc Stein) invited to play in a soccer friendly game to raise fund for the needy for Steve Nash Foundation. 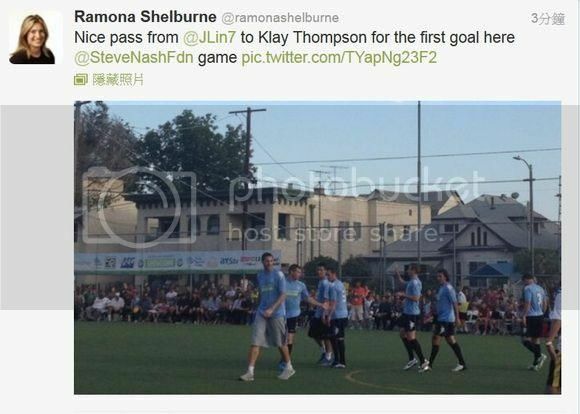 He was in the Team Nash, captained by Steve Nash. 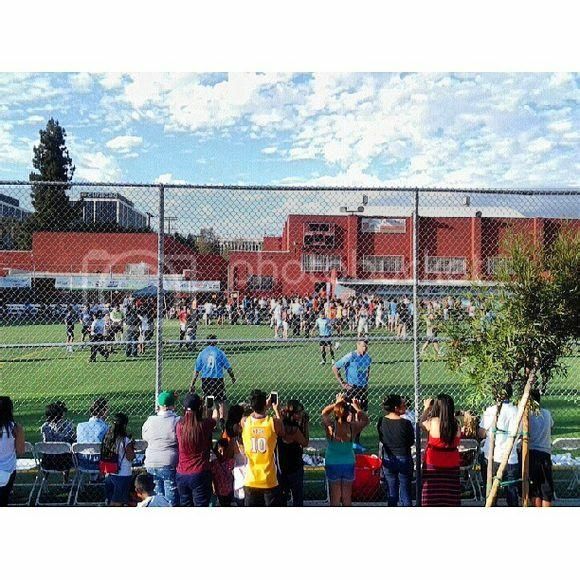 The other team, Team Rogers was captained by Robbie Rogers. 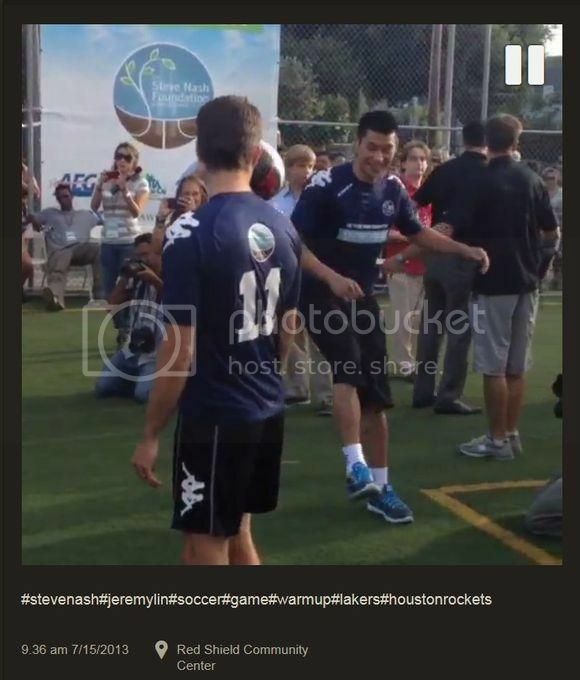 But nevertheless Jeremy went ahead with the match. 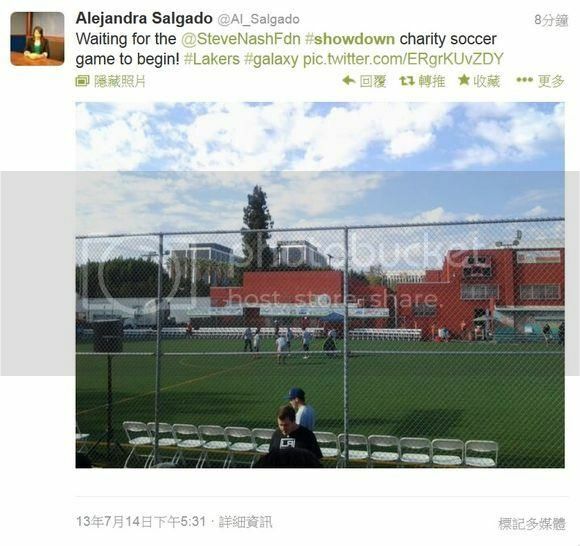 He first played a few minutes for the Team Rogers. 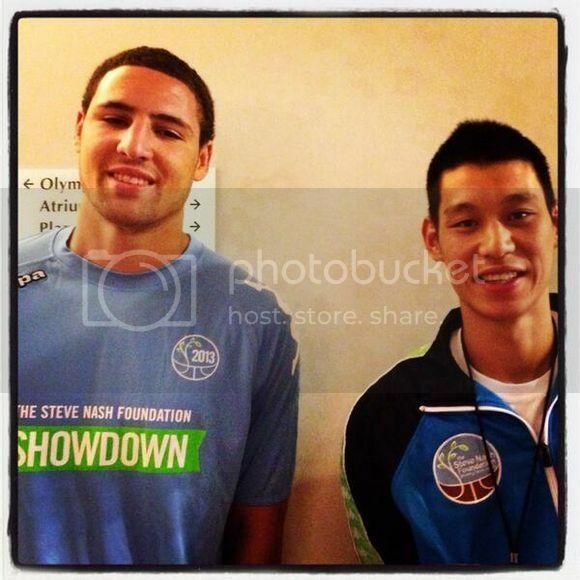 He showed that he could also play, and not only can he provide assist on court in basketball game, he provided an assist for Klay Thompson of Golden State Warriors for the opening goal for Team Rogers. 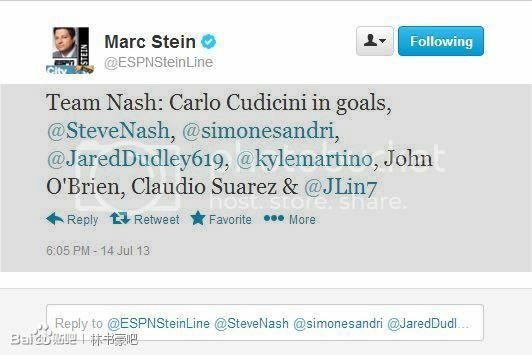 He then withdrew from the game, and sat out for almost the full game; but he resumed playing at the end, but this time, for the Team Nash. 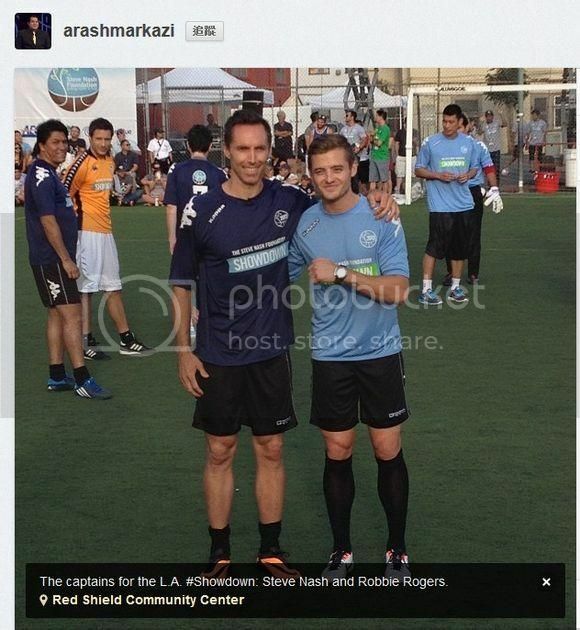 Team Nash eventually beat Team Rogers 5 ~ 4 with their team captain Steve Nash scoring the winning goal. Interesting that the Rockets expect the players to not do anything physical in the off-season. 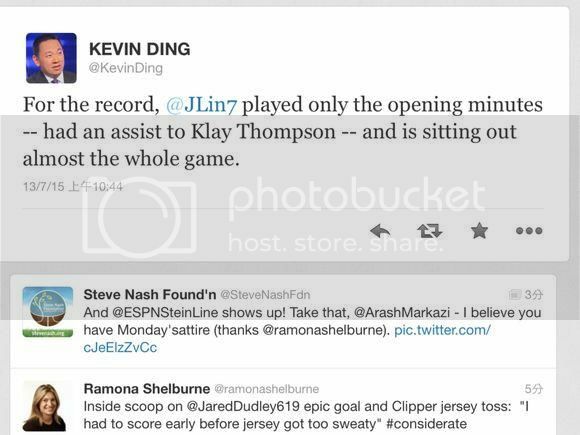 I mean, naggers like Kevin Love breaks his hand doing push ups. some dudes are glass. Bynum hurts himself bowling, this stuff happens. 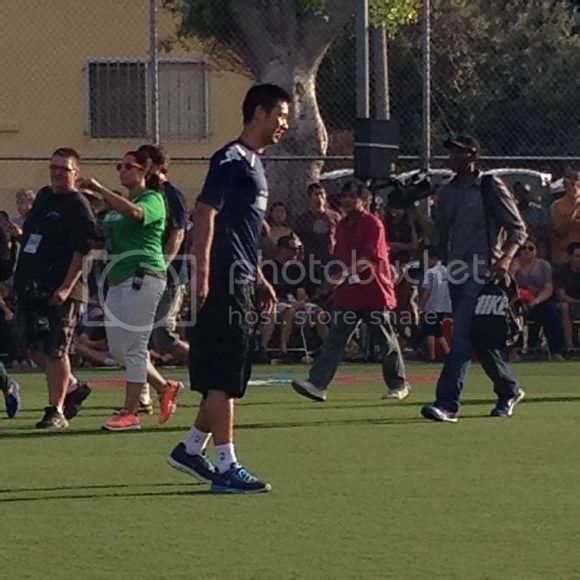 Some photos of Jeremy Lin in the Steve Nash Foundation Soccer Charity Game. 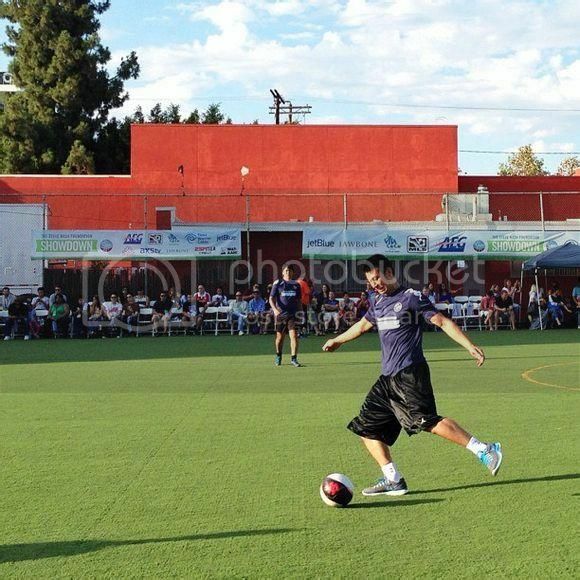 I don't think Lin is wearing the proper shoes for turf soccer. 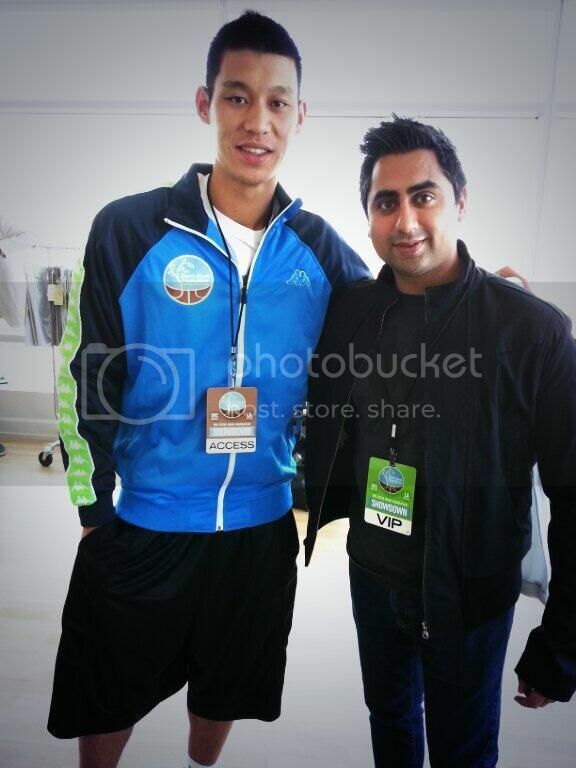 Did the Rockets approve of him playing in that Pro-Am game where he "got dunked on"? 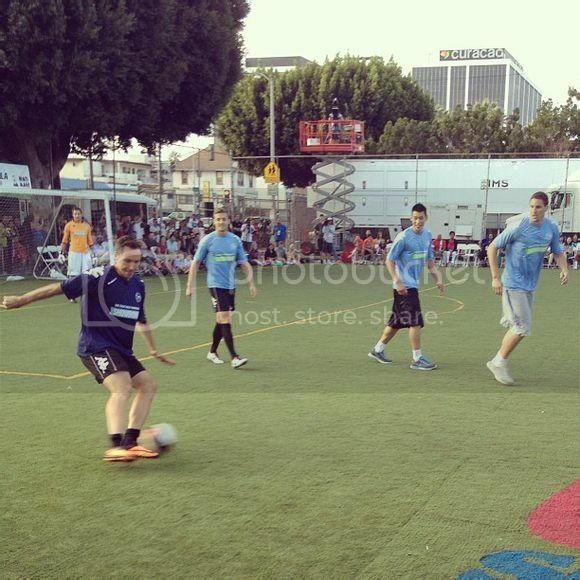 How good is his soccer skill? He doesn't even have a pair of soccer shoes? Most athletes have great body control and reflexes. 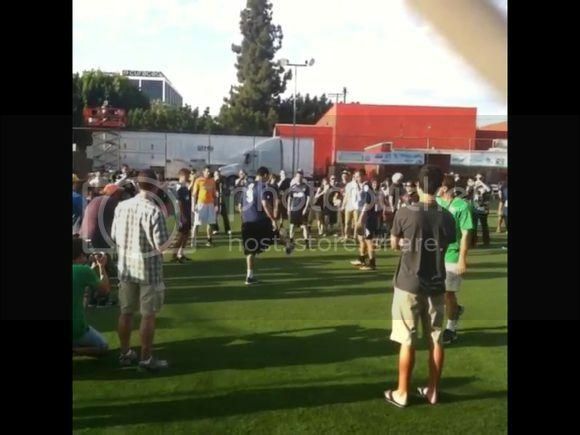 He can probably beat people with pure talent alone. 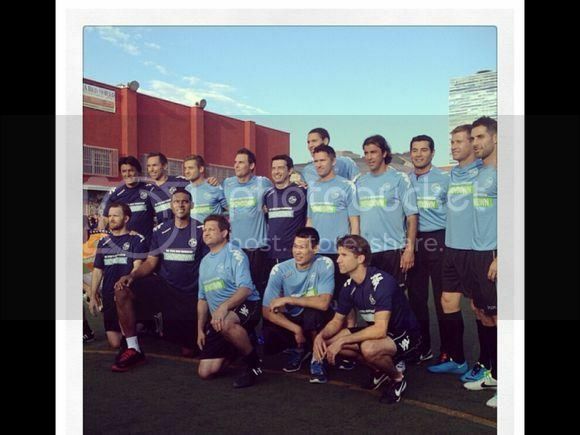 However, Lin was probably just fooling around and not serious during this celebrity event.